Here are the warnings, the risks, and the truth, and just how to deal with the coming tide. 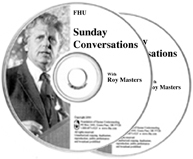 At a time when “the average American is so thick in denial,” Roy gets straight to the point. These are the toughest words you’ll hear today on the condition of our country. There is little time left for what is coming. In these two hours you see for yourself what “standing your ground” really means. We encourage you to practice the principle yourself by sharing this link across the country by tweet, e-mail, phone and Facebook. There is another way to be a part of the cure: Listen to the free 7-Minute exercise on www.AntidoteForAll.com and pass it forward. It has been the help that thousands in our military have been looking for.